Please login to FameTheme Dashboard then download and install the WP Coupon Import & Export plugin. 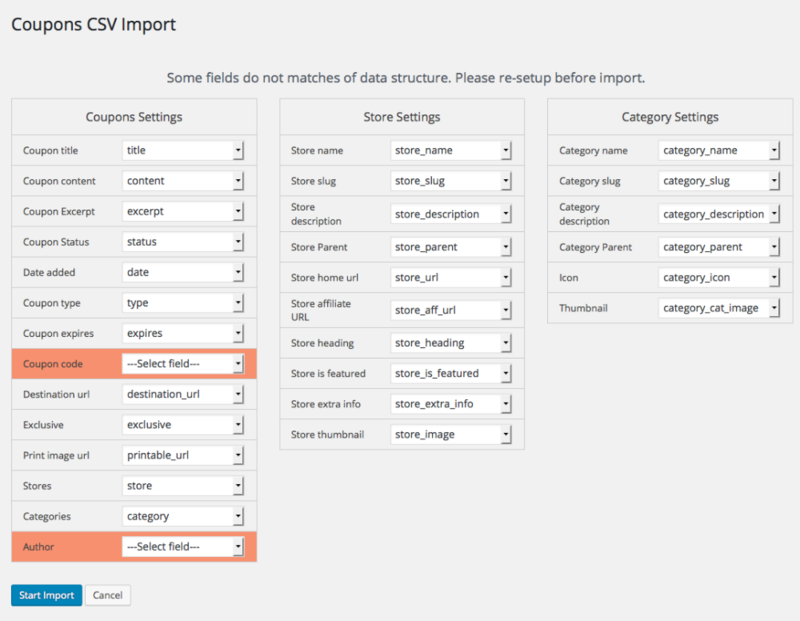 Select a coupon CSV file then hit upload. Otherwise, just select the field in Setting table and hit Start Import button. 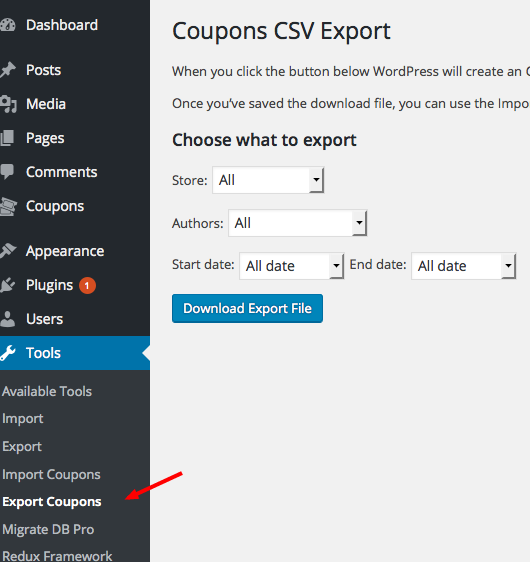 This mean you can import coupon from any CSV file.